Developments regarding Dr Judy Wood, a former Professor of Mechanical Engineering from Clemson University, and Dr Morgan Reynolds, the former Chief Economist of the US Department of Labor. Both Wood and Reynolds are represented by mainstream attorney Jerry Leaphart. Dr Fetzer also submitted a press release for this wonderful news. Read it and learn that NIST admitted to Dr Wood (in writing) that they did not analyze the ?collapse? of the towers! 1. 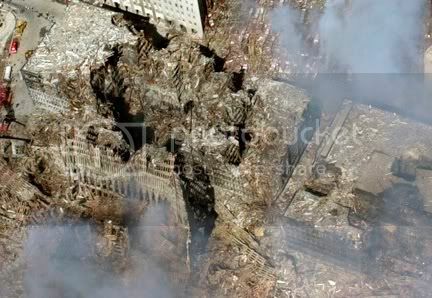 A building (in the foreground) having damage similar to that of WTC 6 and the Murrah Building in OK City. 2. A building (behind the red building) with the same cosmetic design as WTC 3. 3. A building (in the background) turning to dust similar to the Twin Towers. The Evidence for Directed Energy Weapons is Very Strong! **Let's take this Vertical Cut on WTC 4 as an example. The building material on the other side of the cut is "missing". 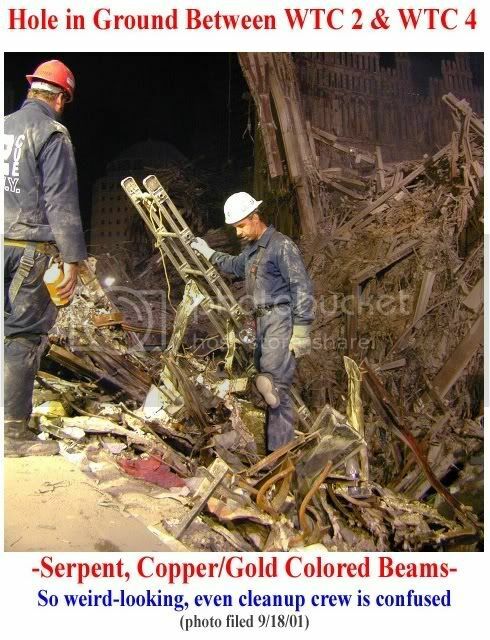 **Has anyone noticed... the WTC 4 cut is in the same path as the South Tower's north wall? 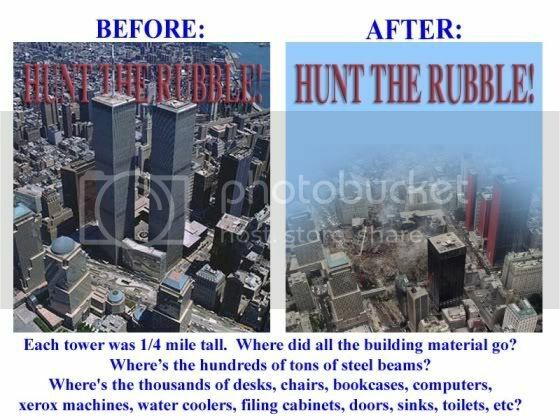 The South Tower is also "missing". 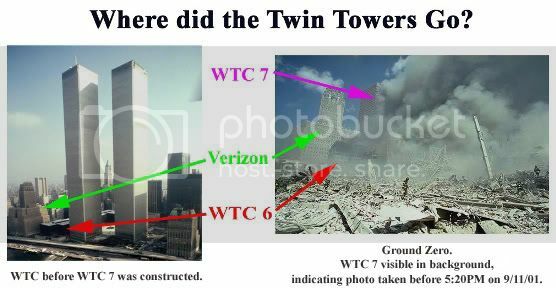 **How about these Cylindrical Holes in WTC 5 and WTC 6? What, if not a beam weapon, could make these? 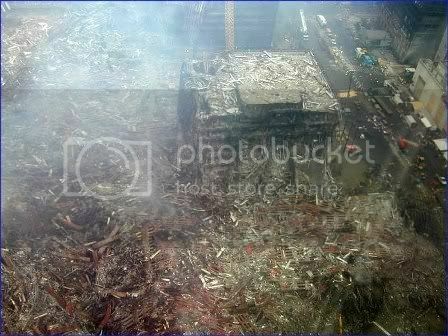 **How about this video of the Steel Core Turning to Dust and trickling down? **What type of weapon could destroy car engine blocks, yet leave unexploded gas tanks? **This police car looks too weird. **These cleanup workers certainly look puzzled. 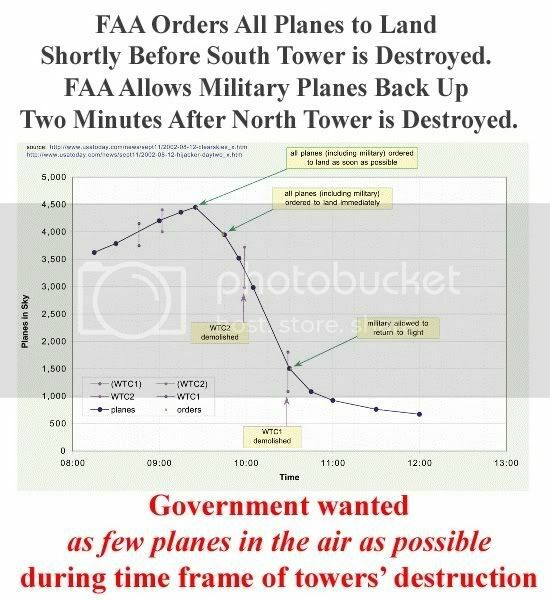 **About 20 minutes before the South Tower is destroyed, the FAA orders all aircraft to land. Two minutes after the North Tower is destroyed, the FAA allows military craft back up. One must wonder... where did the towers go? Look at these two comparisons. What happened? Drs Wood and Reynolds have filed legal challenges, which provides an excellent opportunity for a new investigation. They deserve our full support. Page generated in 0.03353190 seconds (83.11% PHP - 16.89% MySQL) with 34 queries.